Whether using machines, free weights or calisthenics, certified personal trainer Reggie Swindell teaches clients how to train every area of the body in a safe and effective fashion. Form and function are the basis of a successful workout. "With the basic understanding of proper form and technique, a client will become empowered and more self-sufficient, thus able to achieve better results faster," Reggie says. Getting results also relies on individualized workouts. Prior to a session, Reggie evaluates each client, learning what they like and dislike and any health conditions he should be aware of. Using this information, Reggie crafts personalized programs that are based on the client's personality and physical abilities. Drills are chosen to keep the client focused on challenging the body while maintaining safety from start to finish. 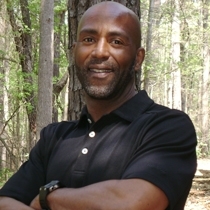 Reggie trains clients of all ages, from children and geriatric clients to professional and Olympic athletes. All training programs begin with a physiology evaluation, during which Reggie will record the client's weight, body composition and measurements and test for strength, endurance and flexibility.